For customers who require delivery and are ordering close to the end of the of the promotional period, please note that redemption may be closed by the time you receive the parcel. 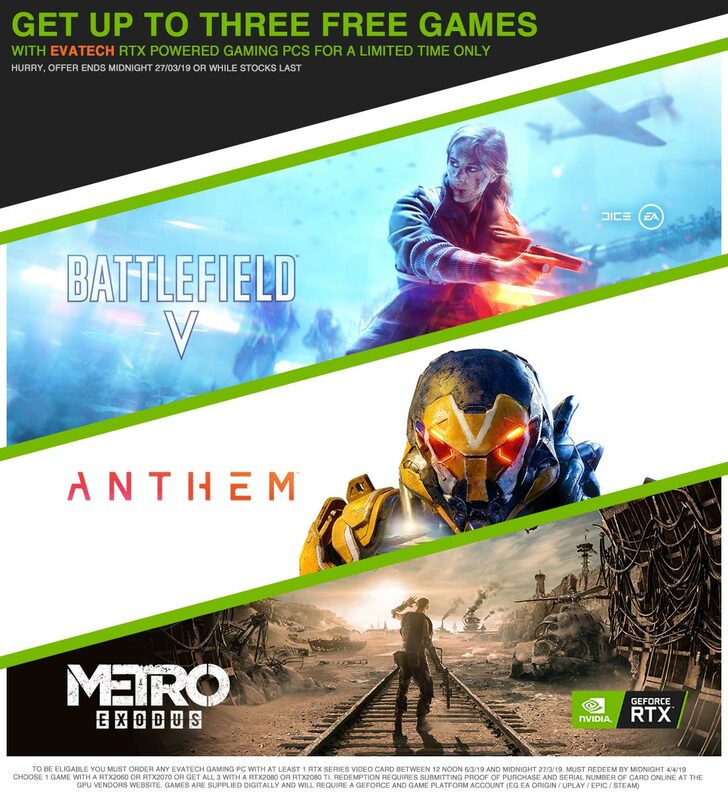 The repetition period is controlled by the GPU vendor listed above and not Evatech. Failure to redeem the code in the eligible time window will result in the loss of eligibility. Custom systems may take up to 5-10 days for assembly and delivery can take 2-3 additional business days by courier. While some vendors may extend their redemption period, others may not. Please order ASAP to ensure your best possible chances for eligibility.